With a rise in internet usage and accessibility, the modern online shopper is not always what you perceive them to be. Ecommerce platforms are becoming much easier to use, and online payment methods are becoming well trusted ways of sending money online. The big companies such as eBay and Amazon are not the only ones raking in the dollars, with shoppers becoming more savvy when it comes to spending their hard earned dollars. 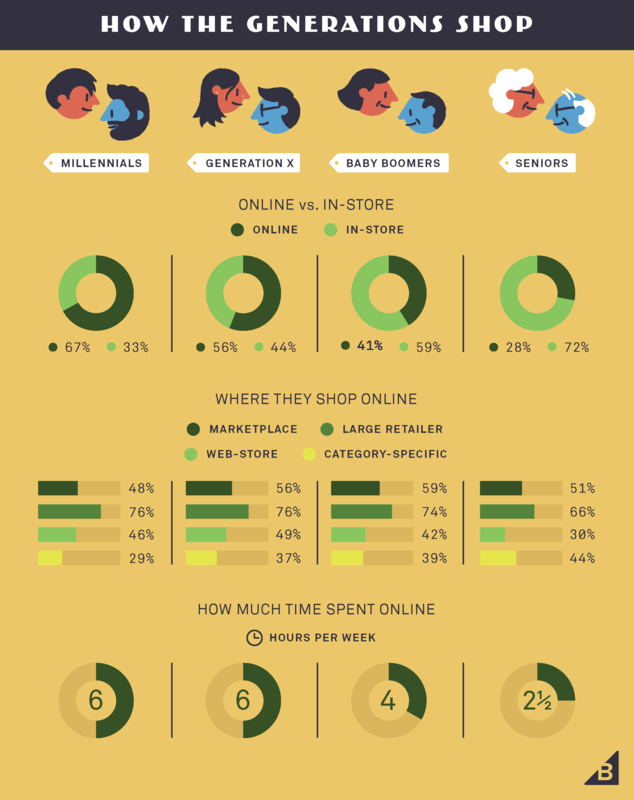 BigCommerce conducted in a partnership with Kelton Global a leading insights firm, a large scale study identifying over 135 insights about the modern online shopper. This article will arm you with everything you need to know about the ever changing ecommerce landscape. 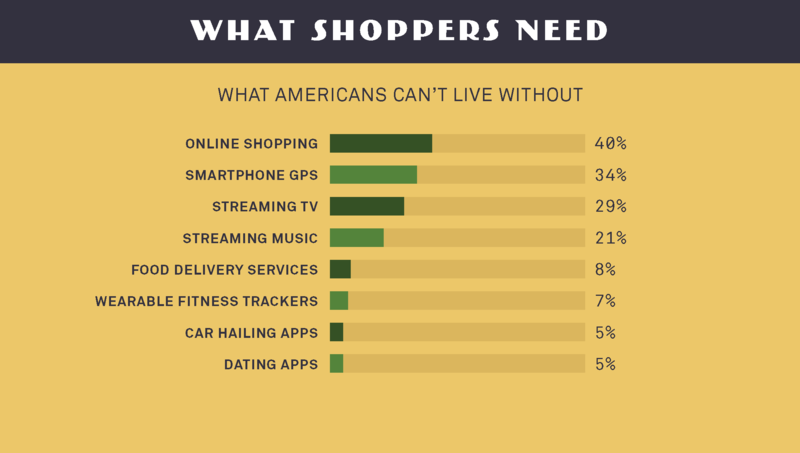 Can you believe that only 4% of Americans haven’t shopped online? In fact, in the last month, 4 out of 5 people have made an online purchase. 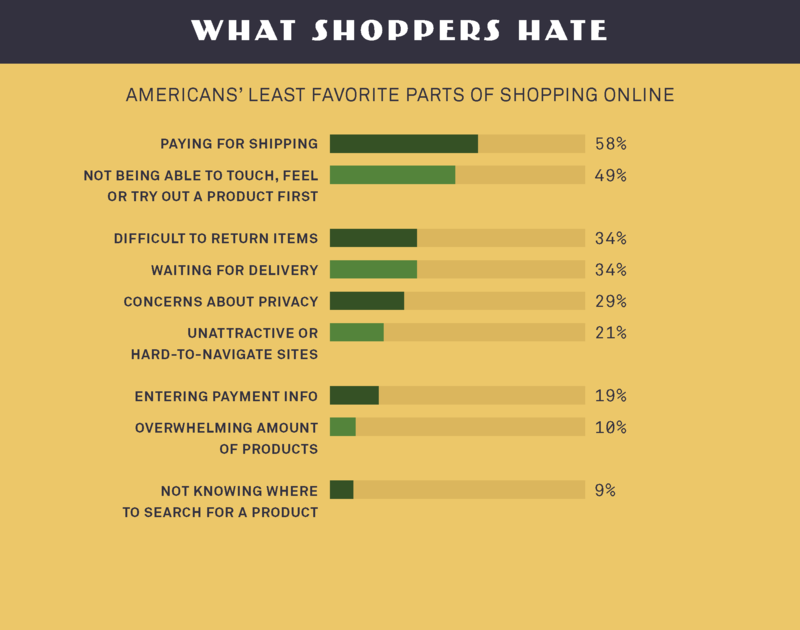 Just over half the population of the US prefer to shop online, and it’s easy to see why. The flexibility, accessibility and ease of use makes it appealing across the board. 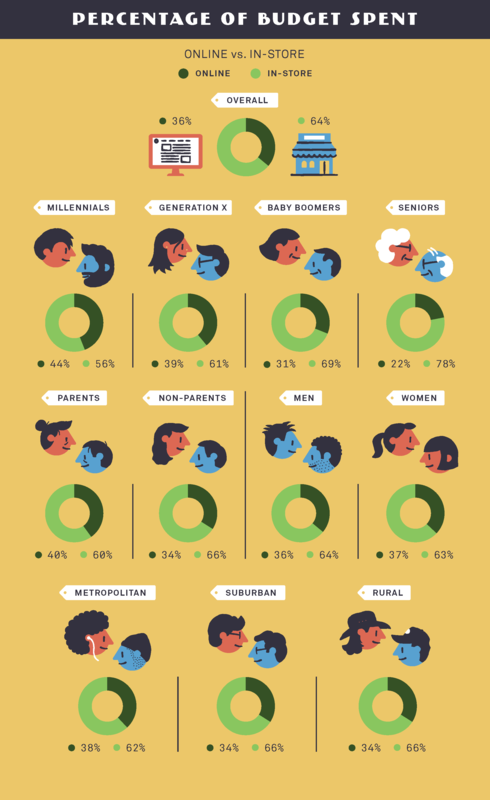 Men or Women – Who’s Spending the Most? 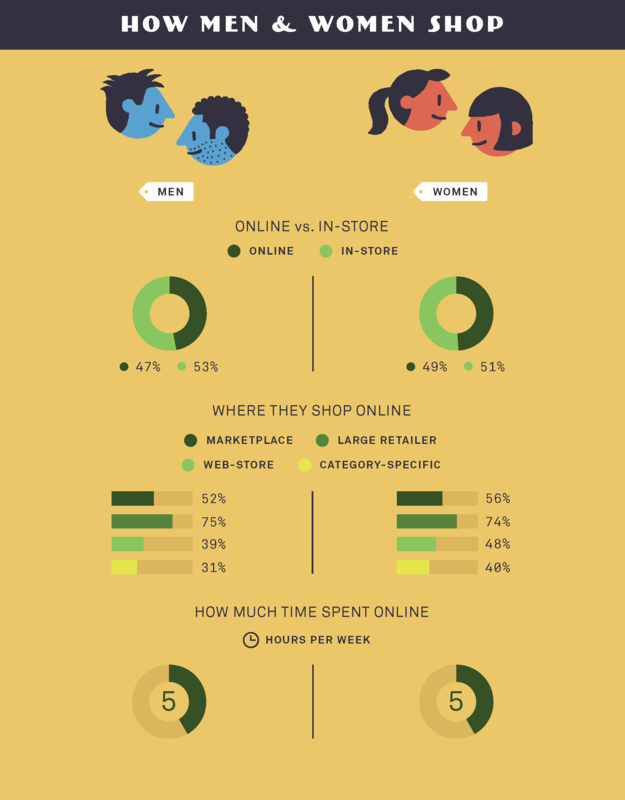 When it comes to shopping online, men and women both use online shopping platforms at equal rates. Both genders spend more of their money at online retailers – traditional bricks and mortar stores which have invested their money in an online shopping platform. You might be surprised to know that men spend almost 30% more than women online. Shoppers are split on this one - half of shoppers would prefer to buy in store, and others would prefer to purchase online. Stores with an online component will do well with an online platform, but retailers should be aware that customers usually spend more money if they come into the store to purchase items. Offsetting postage and handling costs by asking customers to collect in store could help assist in more profits, especially if the customer makes impulse purchases on their way to the cash register when they pick up their item. Webstore, Large Retailer or Marketplace? Just under half of all online shopping searches begin on a big marketplace such as Amazon. This doesn’t mean that the product will be available, or at the right price, but it is important to note that many people start their quest on this type of platform. 74% of Americans shop at large retailers with an online storefront – that is, they are making their purchases online directly from the business. These business are called omni-channel as they have an online and physical presence. 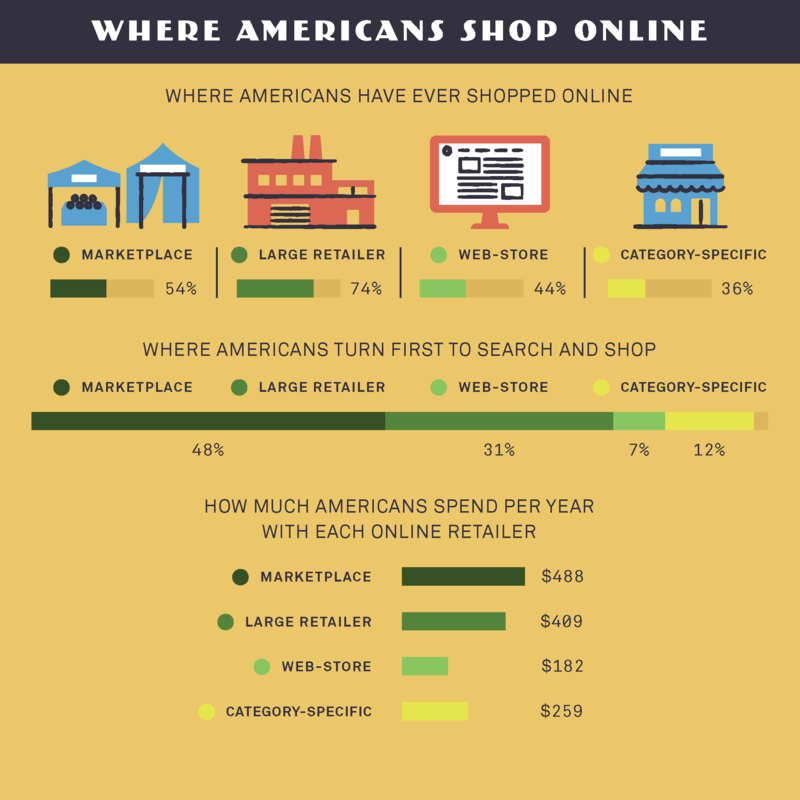 54% of Americans have purchased from ecommerce marketplace, 44% purchase from webstores and 36% at online retailers who sell a specific range of items. For businesses that have their goods for sale in multiple places online such as a marketplace, social media and a webstore, these are called multi-channel businesses. Obviously with the rise of online shopper confidence, people are happy to spend their money, but they spend it as it is convenient. 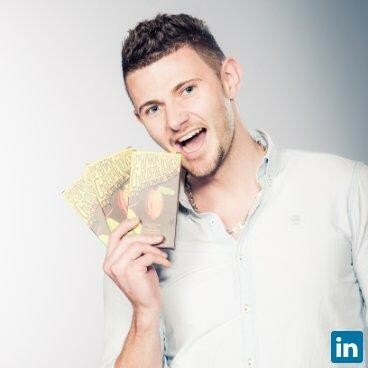 It would be most profitable for a business to be both multi and omni channel. 80% of shoppers make a purchase at least once a month and 30% make a purchase at least once a week. 5% of people buy online daily. None of this is surprising, given the usage of mobile devices – a click on your phone might be a lot easier than scrolling through a website on your PC. Online shopping takes up to 5 hours a week, or 7 if you have children. 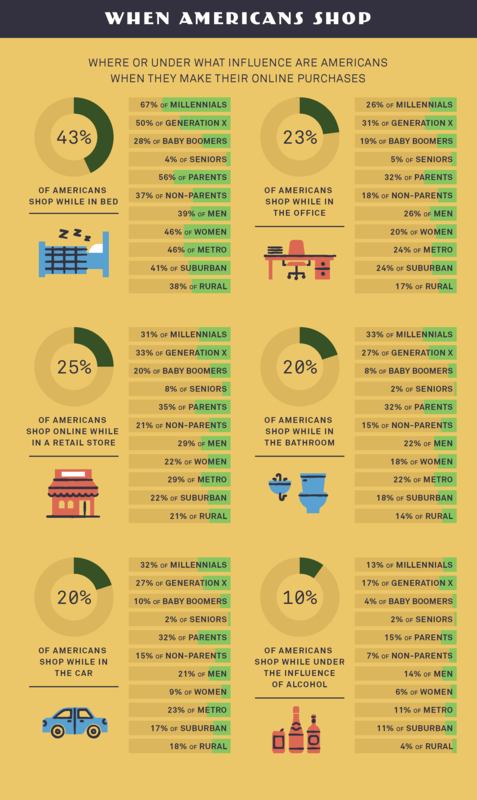 Buyers are buying things in all places – in bed, at work and even in the bathroom. Incredibly, 25% of people are buying something online while they are standing in a bricks and mortar store! Clothing, shoes and accessories – 47% purchase directly from online retailers and 44% of buyers purchase these from market places. Electronic goods – 34% of shoppers used marketplaces to buy their products. Beauty items – 29% of shoppes use marketplaces, and 24% use large retailers. Books, movies and music – Market places are the real winners here, with 44% of people using them to buy their good. 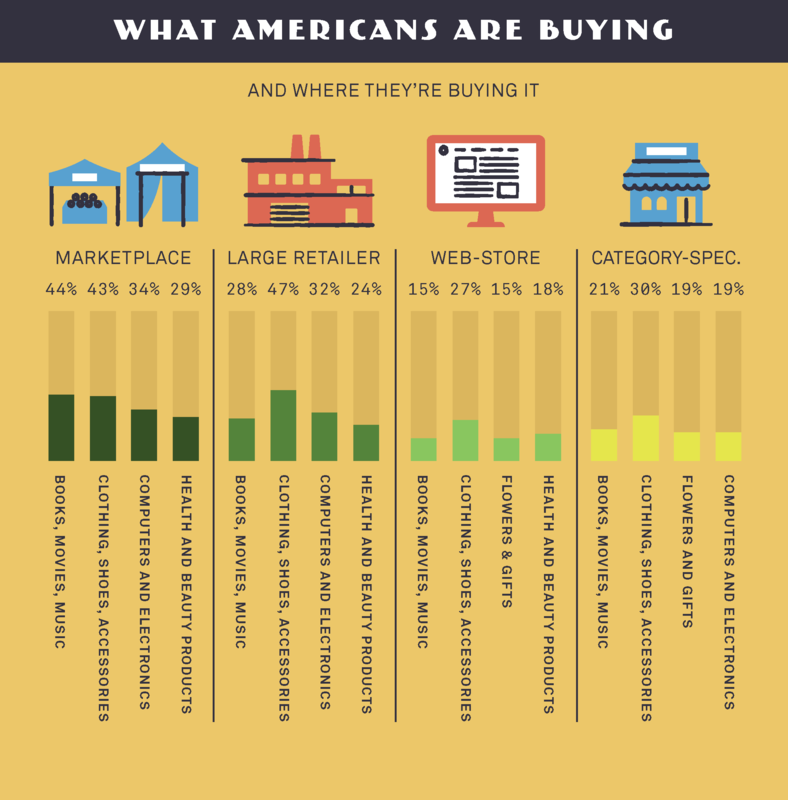 What Influences the American Shopper to Purchase? 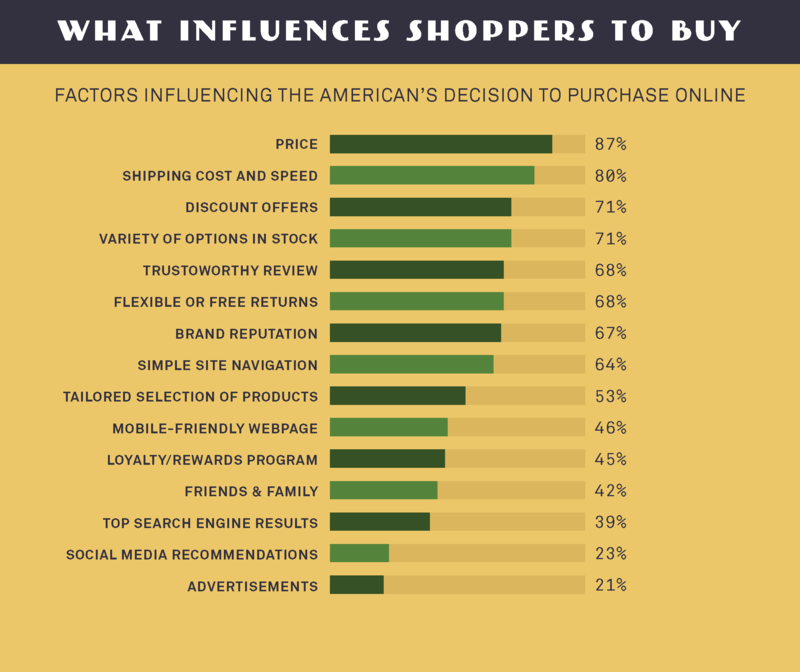 Cost and convince continues to be the driving force behind what shoppers choose to buy online. Shoppers take into account shipping, taxes, return policies, rewards such as coupons and discounts as well as giveaways when they make their decision to purchase. With up to 66% of shoppers abandoning their online shopping cart due to shipping charges, someone needs to meet their needs. Some marketplaces like Amazon are happy to take on board this extra cost as it drives up their brand’s reputation. Difficult to navigate sites are also a turn off. Shoppers dislike being unable to touch or try on items, and complicated returns policies. Image placement is everything – almost 80% of buyers really want to see what they are purchasing before going ahead with the sale. Likewise, buyers also want to know what other consumers are thinking – reviews would really assist in making the decision to purchase. Online shopping is increasing at a dramatic rate, with shoppers becoming savvy and self aware in their purchasing habits. Retailers, marketplaces and online sellers are doing some great things, but there is always a lot more to learn about what makes the modern online shopper tick. Find this article was helpful or insightful? Please share your thoughts below.